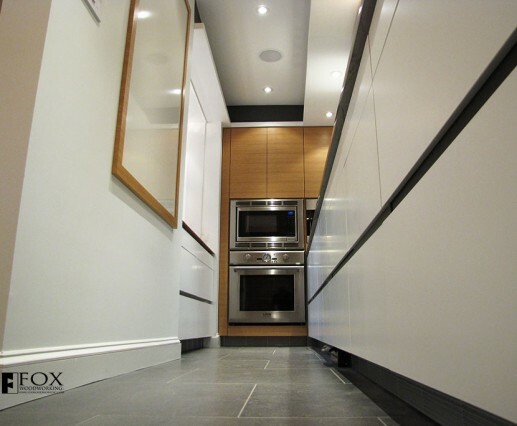 This white painted galley kitchen uses the white paint on the drawer fronts and white panels at eye level to create a feeling of openness in this narrow space. 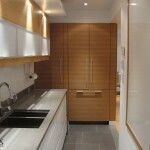 Working from a design by Shimi Zakin, we built these modern style cabinets. 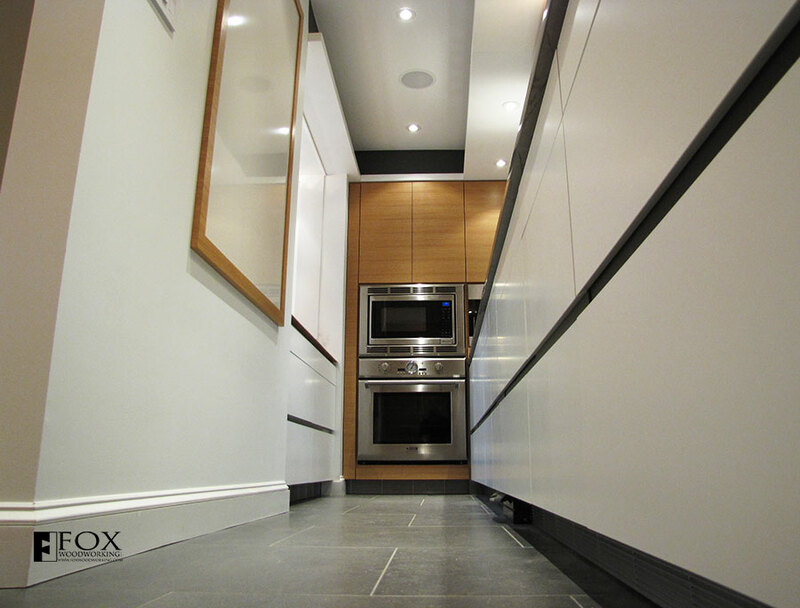 The large drawers along the right-hand side are Tandembox by Blum Hardware in their gray finish. At the end, the corner cabinet has a Magic Corner unit by Häfele that provides useful storage. The rift sawn oak doors around the double oven unit use spring loaded hinges and touch latches, preserving the clean lines of the veneer. On the left-hand wall is a dry erase board that is a great place for the kids to draw and for notes to be left.